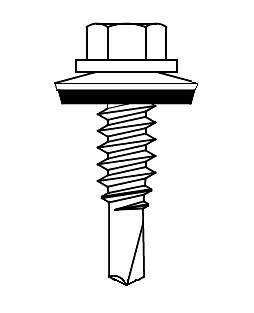 DESCRIPTION: Bond-seal roofing screw for lap seams. Self drilling TEK drill point. Commonly used for repairing stripped out screws in two panels of overlapping roof metal.